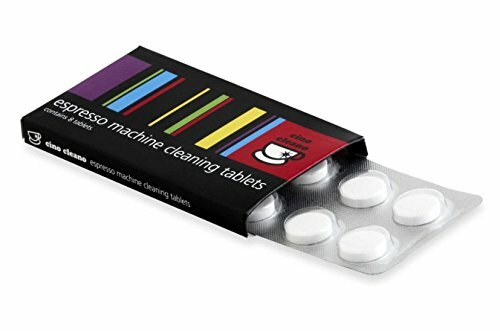 Cino Cleano Espresso Machine Cleaning Tablets are intended to securely and totally expel espresso oils and buildups from the fermenting gathering. Use headings Either embed one tablet into the extraordinary opening and pursue the machine producer’s cleaning and support directions or place elastic visually impaired channel into gathering handle and flush through machine following the machine maker’s cleaning and upkeep guidelines. Mix and dispose of a solitary coffee to re-season machine. To clean channels and gathering handles, disintegrate 1-2 tablets in 500ml of high temp water for 10 minutes. Flush completely in running hot water.